We've chosen the best of Andalucia with a great combination of a few days in the mountains, a day in wonderful Granada city and a few days on the coast with a paella lunch on the beach. The queen of all walks through constantly changing countryside we have chosen the best bits, found the best places to stay and eat and provided the continuous support of our mini-buses to make this wonderful experience available to everyone. Beautiful coastal walks across empty coves and pine forests, strolls through medieval villages and rambles through beech woods over extinct volcanoes. Excellent hotels with plenty to do in the evenings. Experience the variety of orange groves, pine forests, paddy fields, glorious beaches and magnificent gorges then come home to the serenity of our luxurious farmhouse. Also, a day in the fascinating city of Valencia. Wow! 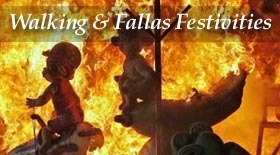 One of Europe's biggest fiesta combined with our best walks in a very special, little known area of Spain make this holiday very special. What a pity it can only be for one week of the year! 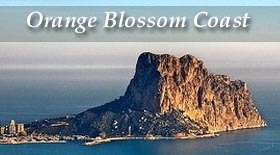 Comfortable mountain and coastal walks with magnificent views. Excellent lunches. Lots to do after from promenade strolls, lazing by the pool to a cool drink in one of the many pavement cafes. "Well done Walks in Spain, you've done it again. Olwin and I would really like to thank you. “It was a terrific week of walking, meeting people and eating. Your notes were excellent and much appreciated. The hotels were clean and convenient, especially loved the San Francisco Monumento in Santiago. 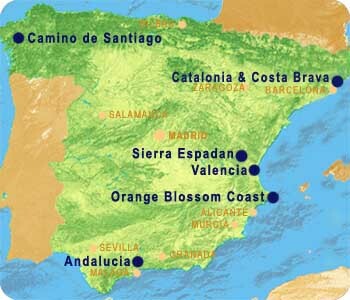 The Camino de Santiago / The Way of St James – We are one of the leading tour operators offering the Camino de Santiago / The Way of St James either forming part of a small group with minibus support or a personlised independent tour to suit your preferences. We have developed a strong working relationship with many of the best hotels and services along the Camino, which are reflected in the high standard of tours offered. 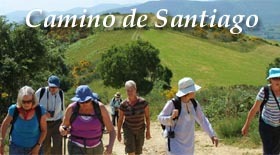 Don’t just take our word for it - See what some of our happy guests have said about their Camino de Santiago tour. Our aim is for you to enjoy your walking holidays with us so much that you will want to return - two thirds of our guests do. To achieve this we recognise that we need to provide the best walks, variety of scenery so that each day is different, quality accommodation, good food in carefully selected local restaurants, all the transfers so you can relax, and most importantly the attention to detail that makes your holiday special. 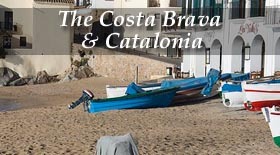 We have a variety of walking holidays to choose from, see the choice above. Whatever type of walking holiday you are looking for we will do our best to ensure it is an experience you will want to repeat. Give us a try - you won't regret it. with our news and Special Offers. What's important when choosing a walking holiday with so many to choose from? There are walking holiday companies that offer guided walking holidays, some that organise self-guided walking holidays where you are provided with route notes and the walking holiday company arrange your accommodation and sometimes your luggage transfers and there are walking holiday companies that do both. Also to be considered when choosing your holiday is the type of area you would like to walk in, the difficulty of the walks, the climate, the standard of accommodation, what the food will be like and the reputation and reliability of the walking holiday company. 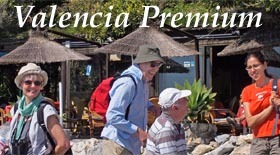 At Walks in Spain we have from the outset set ourselves the highest standards to ensure that our walking holidays provide the best walks, best accommodation and best walking holiday that you will have. We do not compromise on those standards and are continually working to do even better. How do we measure our success - by the feedback from our guests at the end of their walking holiday. Click on the Testimonials tab for each of our holidays to see some of those comments. However we guess that the biggest indicator of whether guests have enjoyed their walking holidays with us is "would they want to come back?" and the fact that two thirds do is telling us that we may be doing something right! How many walking holidays have you been back to? Come and try one of ours - there's always a first time for everything! The jewel in the crown of Spain's walks, with lush green hills, Galician hospitality and the warmth and friendship shared with fellow walkers. Your luxury walking holiday in a premium destination. Staying in a traditional Spanish farmhouse, with pretty gorge walks, the capital of the wine growing region and Valencia nearby. the Sierra Nevada and the wonders of the Alhambra Palace. cork oaks, wild flowers and dense pine tree forests. Walking in the real spain!